Searching Yelp for restaurants in New York that serve ramen yields hundreds of results, a testament to the popularity of Japan’s famous noodle dish. These days ramen is as ubiquitous in New York as pizza or bagels. 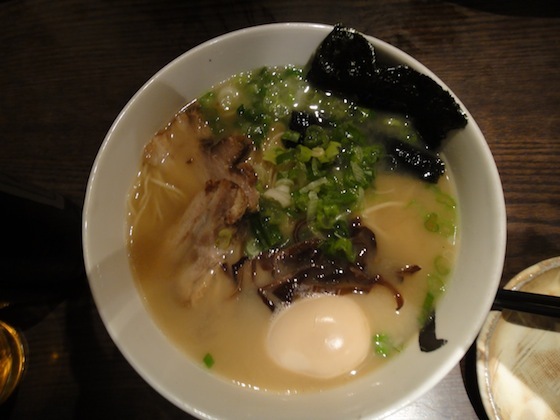 If you’re a fan of ramen, you probably have a favorite ramen place, or you appreciate a particular style of broth or topping. But have you ever wanted to add toppings or flavors to create your very own style of ramen? Create your own original, New York-style ramen at Japan Block Fair on Sunday, May 20 on Park Avenue between 39th and 40th Streets. The contest will be ongoing at all of the Japan Block Fairs until the end of the year, when one of the ramen dishes will be selected as the ultimate NY-style ramen. 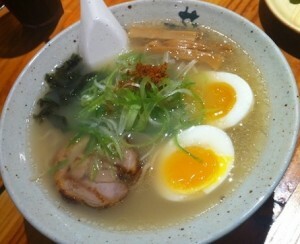 It will also provide an opportunity to enjoy different styles of ramen created by New Yorkers. What are your favorite ramen toppings? The contest is open to everyone, even amateur chefs, so think about what the ultimate NY-style ramen means to you and participate. You could create the California roll of ramen! To register, contact Masato Saito at nyramen@gmail.com. The first ten applicants will participate. Provide a Food Protection Certificate for all the ingredients you will use. If you don’t have this certificate, notify the contest organizers in advance. The host of this event will determine all foods that will be served during this event. Be prepared to serve your ramen to between 300 and 500 people. The contest will take place from 1:00 p.m. until 4:00 p.m., and the winner will be announced at 4:30 p.m. Customers will purchase tickets at $4 each or $10 for a block of three. (Ticket sales begin at noon on the day of the event.) After sampling, customers will vote for their favorite ramen. Become the next Ivan Orkin! A Long Island native, Ivan is the owner/chef of Ivan Ramen and Ivan Ramen Plus, two fabulously popular ramen shops in Tokyo. While his first restaurant is fairly traditional, Ivan breaks the ramen mold with his own style of broth and unusual and unexpected toppings, such as cheese! He was featured in a recent episode of Anthony Bourdain: No Reservations on the Travel Channel and has made the news for years. Now we’re not saying that you’re going to open a ramen shop in Tokyo after participating in this contest, but there are some nice prizes. First place: $1,000, a certificate of acknowledgement and trophy from the NY Ramen Committee, an interview/article in the “Nikkei Community” magazine, and a ticket to enter the Grand Finale round. Second place: $800, a certificate of acknowledgement from the NY Ramen Committee, and a ticket to enter the Grand Finale round. Third to Tenth place: $500. Participating vendors: Chuko Ramen, Nobuchan Ramen, Batten Ramen, Totto Ramen, Ramen Ebisu, Suzuki Farms, Terakawa Ramen/Naruto Ramen team, Hakata Tonton. JapanCulture•NYC is a proud media sponsor of Japan Block Fair. Join us on Sunday, May 20 for a great day of Japanese food and culture! Hi, What trains do I take to the first Japan block fair that is coming up? The Japan Block Fair on Sunday, May 20 will be on Park Avenue between 39th and 40th Streets. Grand Central is probably the closest station to the event. Hope to see you there! Pingback: NY Street Ramen Contest : Kampai!